Each stage should be pretty straightforward but don't forget we're always here to help and support you if you have any questions! First you simply need to register and submit a few basic details to set up your online Camp America account. Registering will take less than a minute, so what are you waiting for? Click here and do it now! Once you’ve Registered, you will then have access to your very own online account and you can start creating your personal profile. Work through each of the sections and try to give us as much information as possible. You can always save whatever you’ve done and keep going back to it whenever you want. Part of the application will require you to supply 2 references from someone who knows you in a professional manner. All you need to do is upload their name and contact details in the reference section of your application. They will then get sent an email from us asking them to complete a reference for you. As soon as you’ve completed the majority of your profile, you will be able to select an interviewer. You’ll be shown a list of all the local interviewers in your area, so you can choose the one that best suits you and make contact with them. Your interviewer will help you finish your profile and may make suggestions as to how you can make it even better! Before an interview time and date can be confirmed, you need to make your first payment. If you do not pass the interview stage, then your payment will be automatically refunded - so you’ve got nothing to lose! After your interview, you’ll be given a couple more question to answer online and your interviewer will write a report that will become part of your online profile for camps to see. Once that’s done and we’ve got your references and police check, your application will be availble to the camps and you’re then officially ready to be offered a place! Exciting! When hiring, camps tend to look at your skills before anything else, so make sure you write as much as you can in this section. Remember to sell yourself and give examples. They also love images and videos, so I'd reccommend you upload these to make your application stand out. You need to list at least 3 skills in your application (which you can select from a list) however the more skills you enter the stronger your application will look. 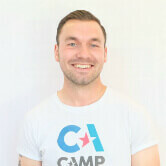 Camps love to hire staff that have lots to offer, so select any skills that you have personal experience in along with any that you feel confident enough to be able to teach or assist children in at camp. Don’t forget to add any certificates/qualifications you have as well! Make sure you consider all camp types, put your earliest availability dates and be open to any camp offer you may get. The more flexible your application is then the more camps we can match you to, ulitmately giving you the best chance of being placed. Make sure you read up on all the different roles and camps available when you're applying in order to give yourself the strongest application you can. Working on a summer camp is one of the most unique and exciting jobs you will ever have. Therefore you need to get across how excited and unique you are and why a camp should hire you over everyone else. Don't hold back on your skills and hobbies or why you want to work on camp, big yourself up and tell the camps why they need to hire YOU this summer! Videos are optional for your application but in our opinion essential to help your placement chances! This might be the only opportunity that the camps will get to see you ‘face to face’ and it will really help push your application to the top of the pile. Use the video to explain why they should hire you over everyone else and make sure your personality shines through. So what are you waiting for? Click here and start your application TODAY! How to make the perfect application video!